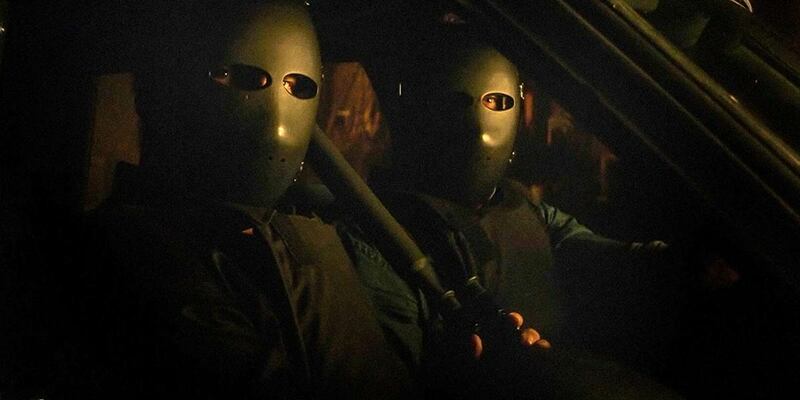 Filmmaker S. Craig Zahler’s 2018 crime flick ‘Dragged Across Concrete‘ continues his streak of high-powered, gritty throwbacks. 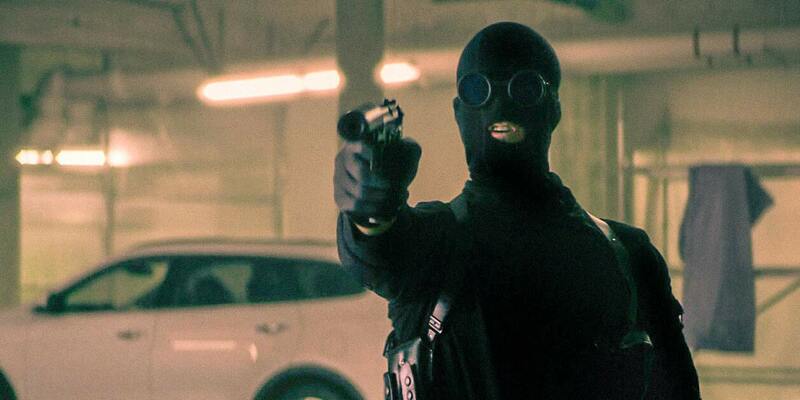 Imagine if Tarantino had directed ‘Heat’ as a sequel to ‘Lethal Weapon’ and you get the general idea. Good stuff. As in his prior films, Zahler lovingly repurposes classic genre tropes into something fresh, yet, invitingly familiar. If your a fan of 70s cinema there’s a lot to like here. The crisp dialog is styled as urban poetry, the violence is matter of fact brutal, and the strongly presented but mostly non-dimensional characters exist as beautifully broken moral compasses. Veteran detective Brett Ridgeman (Mel Gibson) and his partner Anthony Lurasetti (Vince Vaughn) are simply seeking out “imbeciles” and protecting the streets. Yet, this modern YouTube clip world can’t handle their more direct methodology. After putting Lt. Calvert (Don Johnson) in a tight spot he must suspend them–sans pay. And with compounding personal stakes what are these working class guys supposed to do now? Seeking compensation for decades of loyal duty Ridgeman decides to take what’s owed him. So he drags a reluctant Lurasetti along to rip off mysterious master criminal Lorentz Vogelmann (Thomas Kretschmann). And, thankfully (at least for our entertainment purposes), things don’t exactly go as planned. 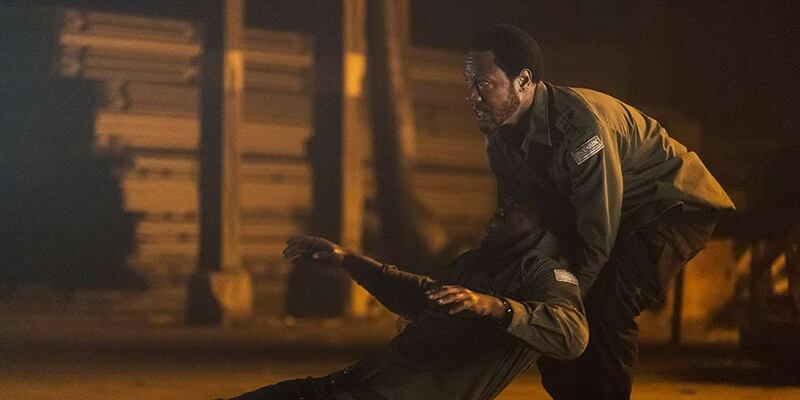 Especially once Vogelmann’s wheelmen Henry Johns (Tory Kittles) and Biscuit (Michael Jai White) get stuck in the middle of a spooling clustf*ck of miscalculation and horrific collateral damage. Detectives Lurasetti and Ridgeman stake out criminals. Lurasetti and Ridgeman stake out as criminals. However, criminality always leads to chaos. And Henry Johns is getting more than exactly what he bargained for. The film centers itself mostly around Ridgeman and Lurasetti’s well-worn partnership. Thankfully, Gibson (in his best role in years) and Vaughn sustain a playful chemistry throughout–I could’ve watched them bicker over stake-out food choices for hours. Yet, other than the recent parolee Henry Johns, most of the excellent extended cast offer not much more than background texture and added pathos for what’s essentially a tropish story of a heist gone horribly awry. As expected with a title like ‘Dragged Across Concrete‘ the film dips into overindulgence; “dragging” out characters and side-plots that soon dissolve once the bodies start to drop. And, although “Henry Johns” retains a major presence, a lack of depth and/or context gives Tory Kittles’ fresh and smart portrayal nearly nothing to hang onto. Many may also find the overtly 70s film soul soundtrack and hopelessly limited (aka, stereotyped) worldview a bit too kitschy for 2018. Tasteless exploitation or loving homage? I’ll just go with homage and call it good. 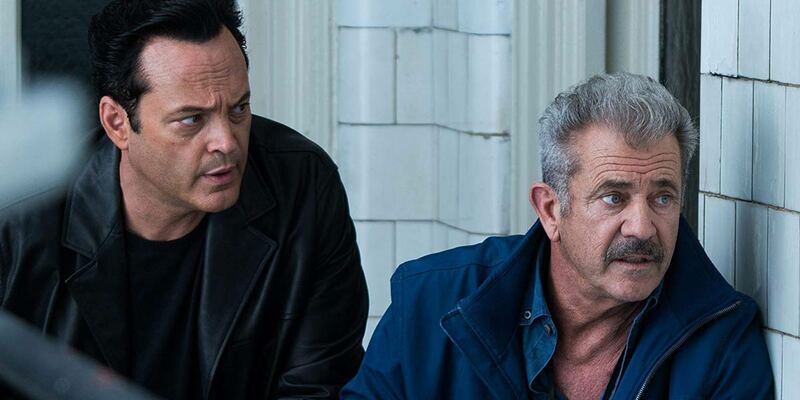 The slick, retro crime thriller ‘Dragged Across Concrete‘ is a wondrous treat of gooey goodness. Addictive chemistry from two strong leads, a solid support cast, visceral action, and cool revisionist noir direction and style. Even with a tendency to overindulge and notable lack of depth its two and half hours just fly by. In tribute to the great nihilist crime thrillers of the 1970s this film overflows with shady characters, horrific and brutal acts of violence, quirky dark humor, biting politically incorrect dialog, and guilty-pleasure overindulgence.